Islands Fresh Mex Grill was established here in Wilmington in 2008 and quickly grew to four locations serving only the Wilmington, North Carolina area. We have become famous for our “Dollar Tacos” deal we offer EVERY night and our $1.99 tacos EVERY day at lunch (drink purchase required). Perhaps you prefer our made-to-order burritos, salads, nachos, quesadillas, enchiladas, or other favorites! Your memories of the Islands will also include our un-matched freshness. Whether you’re dining in, taking Islands to-go, or having a special event catered, our teams is devoted to creating the best overall value for you. We are taking fast-casual dining to another level by making your dining experience consistently extraordinary. Our philosophy is to be fast, fresh, and affordable while maintaining the highest level of customer service. When you step into any of our four locations of Islands Fresh Mex Grill, you’ll enjoy our relaxing, bright, fun atmosphere, a fresh variety of menu items carefully developed to give you an innovative selection of choices all prepared with quality ingredients at an affordable price. 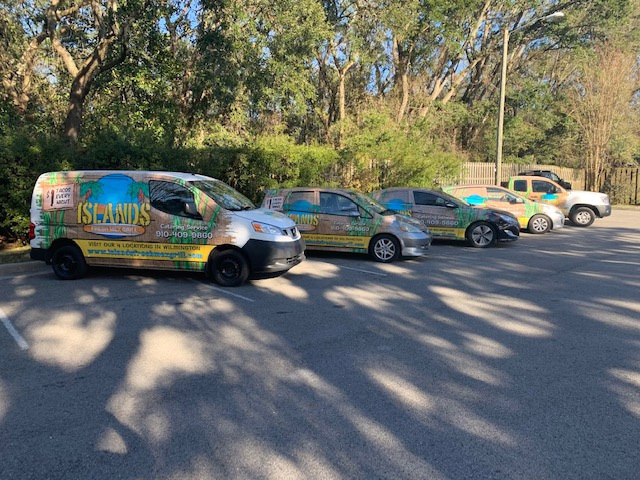 We work hard to be sure Islands Fresh Mex Grill to be your #1 choice for lunch, dinner, and catering. Our teams LOVE to bring the Islands to you! From nearby, to up to a couple of hours away, have our catering experts take care of all the details from start to finish, including plates, napkins, utensils and more. From parties of ten people or more, just let us know what you want, how many folks, when and where and we’ll make it all happen for you on-time and on-budget. 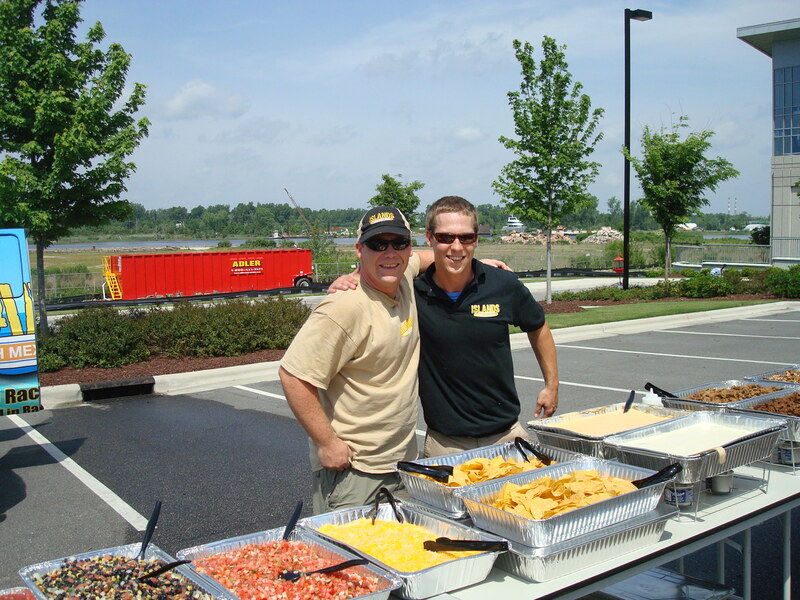 Islands Fresh Mex Grill offers several catering selections based on what your party needs, whether for work functions or just for fun! Pricing is based on what you order, how many people, and how far away you need it delivered. We also set everything up for you when we get there to make your event even easier for you, or, you can pick up your catering order at our Market Street location and take it with you, if you prefer.